Lot Size: 8,250 sq. ft. If you asked me whether or not Texas real estate is a good investment the simple answer is yes. With interest rates at their lowest since I’ve been selling real estate, there is no better time to buy. As a Texas real estate broker, I have sold all types of regular real estate, affordable homes, and foreclosures. From county owned tax sales, to bank owned, VA owned, Fannie Mae and Freddie Mac owned, but HUD homes tend to be the easiest and best government owned homes to buy. Please look over the website for any other HUD Homes that may be in your area, because currently Texas HUD homes average between 400-700 homes on the market every day. Some are ideal investor homes needing only minor repairs before renting, so if you’re looking for cheap HUD Homes, you’ve found the guy to help you. In this post we have a Texas HUD Home at 7010 Glen Walk Drive, San Antonio, TX 78239. I’ve seen this floor plan before and I quite like it. The entry has a small courtyard and if you have an eye for design. 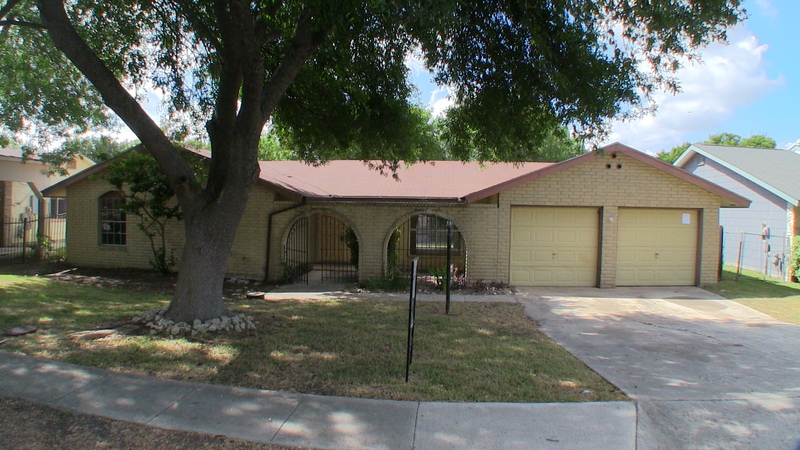 This 3 bedroom 2 bath home is about 1,464 square feet and was built in 1974. It’s going to need to some regular touching up like painting and flooring but I think it could be a great buy, only listed for $75,000 and HUD will pay 3% of your closing costs. There have been some tremendous savings on HUD Homes lately so if you are looking for a home to live in or some houses to pick up as an investor, now is the time to buy. All HUD Homes are time sensitive so you need to call me as soon as possible to discuss your buying options. Did you know that on some HUD Homes, HUD will loan you money to do repairs? Take a look at the video and see what you think, or search my webpage for other Texas HUD homes in your area. t’s as easy as entering a Zip code in the “Search Site” space to the right of this post. FHA Case# 495-548243. ** Depending on when you see this video, this home may or may not be under contract. To find out if it is still Active and on the market please call or email me if you’re interested in this or any other home, I would love to earn your business.